The 1955 slaying was listed in a March report among "activities" the department was pursuing under the 2007 unsolved civil rights crime act that bears Emmett's name. The act paves the way for the department to "expeditiously investigate" unsolved pre-1980 civil rights murders. "Several interested parties" asked the Justice Department in 2004 whether any surviving suspects could be prosecuted. After reviewing available information, the department determined that the statute of limitations prevented any federal prosecution, according to the report. Three years later, a Mississippi grand jury declined to issue new charges. "The Till case has been reopened by DOJ based upon the discovery of new information," the department said in March. It did not elaborate. The department declined to comment on the matter. Known as "Bobo" to those who loved him, Emmett's savage murder jolted a nation, spurring it to action on civil rights. Gruesome photos of the boy's mutilated body spread across the globe, lending jarring visuals to the stories of violence and discrimination coming out of the South. Emmett's crime? He had been accused -- we now know, falsely -- of flirting with and making advances at then-21-year-old Carolyn Bryant, who, along with her husband, Roy, owned a grocery store in Money, Mississippi. 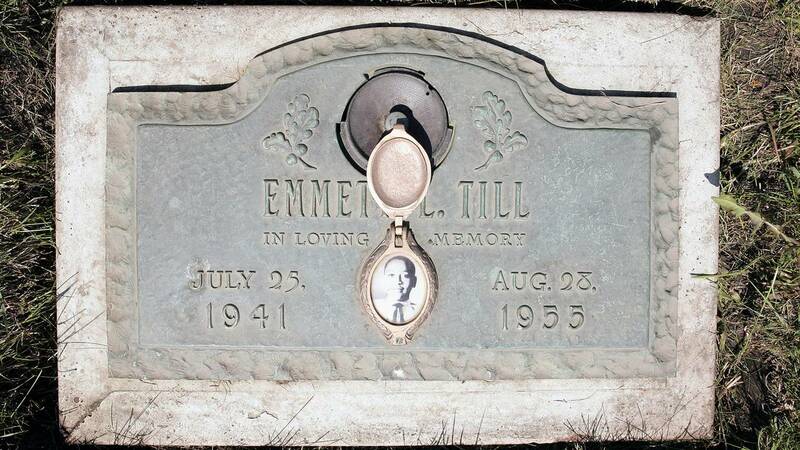 Emmett had traveled there from Chicago to visit his great-uncle, who lived in the area. Not a month after the boy's body was pulled from the river, an all-white jury acquitted Bryant and Milam of Emmett's murder, despite eyewitnesses identifying the defendants and the men confessing to kidnapping the teen. Testifying for the defense, Carolyn Bryant offered incendiary testimony accusing Emmett of grabbing and verbally threatening her. Deliberations took barely an hour, with one juror claiming the acquittal could've come sooner had they not stopped to have a soda. In closing arguments, the defense team appealed to jurors' heritage, saying their ancestors would turn in their graves if they didn't free these fine, white men. Weeks later, a grand jury would decline to indict Bryant and Milam on kidnapping charges. In a January 1956 Look magazine article, titled, "The shocking story of approved killing in Mississippi," Bryant and Milam said they went looking for the "Chicago boy" with the initial intent of scaring him and putting him in his place. But Emmett didn't scare. He was unflappable; he wouldn't even "holler" when they pistol-whipped him -- and that just couldn't stand, Milam said, according to a copy of the article archived by PBS. At one point, the men recalled, Emmett told them, "You bastards, I'm not afraid of you. I'm as good as you are. I've 'had' white women. My grandmother was a white woman." "That big .45 jumped in Big Milam's hand. The youth turned to catch that big, expanding bullet at his right ear. He dropped." Emmett's mother, Mamie Till-Mobley, was horrified to see the state of her son's body when it was returned to her. Against advice, she demanded that his funeral be open casket. She wanted "all the world" to see what she saw, how her boy had been maimed beyond recognition. Tens of thousands witnessed his injuries over four days, and Jet magazine published images of Emmett's swollen and disfigured face for the world to see. His mother had forbidden the mortician from any attempts to touch up his injuries. Emmett's death remains a symbol of "enduring American injustice" to this day, said Duke University scholar Timothy Tyson, author of "The Blood of Emmett Till." The book included the bombshell admission from Carolyn Bryant -- by then, Carolyn Bryant Donham -- that she made up the damning allegations of Emmett's verbal and physical advances. In a news conference Thursday, Tyson said he spoke to Carolyn Bryant twice in 2008 at the invitation of her family. 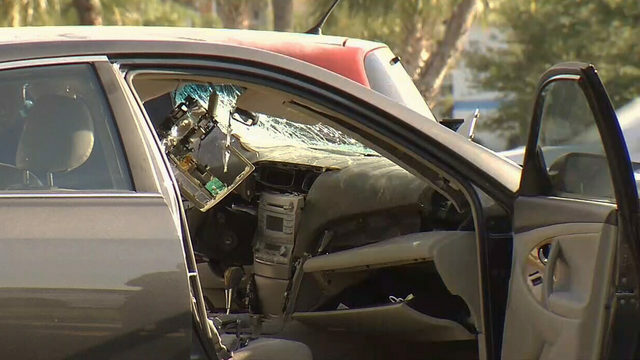 They didn't want her to die without saying a word about it, and she seemed to be in a "sorrowful state of mind" about what happened to Emmett, he said. Even so, her admission "wasn't the morning news to me," Tyson said. "I think everybody's known that since 1955. Nobody thought she was telling the truth to begin with and they didn't choose to prosecute her then." Besides, more damning evidence was obtained by the FBI before then, including an interview with one of Emmett's killers, he said. He suggested that the timing of the announcement had more to do with creating a distraction from controversy over the Trump administration's policies related to immigration and other civil rights issues. And with the main perpetrators dead, no one living will have to suffer consequences, he said. "It makes a good announcement and yet there's no one to prosecute," he said. "This is a low-cost thing and they're in desperate need of political cover for their essentially neo-Confederate race politics." Sterling said she hopes so, or at least that she faces obstruction of justice charges, she said. The Till family has been calling for charges against Carolyn Bryant since Tyson's book came out. Since then, Sterling said she has been "harassed and stalked by white supremacists." And while she's happy to hear the case is under review again, she's worried about further harassment. "I'm glad it's being talked about and discussed, with the division this country is experiencing and white supremacist guys thinking they can do everything. If this case is talked about and discussed maybe they will be stopped." Another cousin, Wheeler Parker, said he hopes Emmett's name can be cleared soon and prove that "he didn't die in vain."